The SEA LIFE London Aquarium is one of the biggest collections of worldwide marine life in Europe. It is located in the beautiful City of London, along the banks of the River Thames. 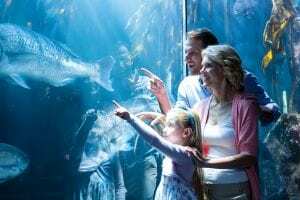 You will discover more than 50 kinds of prominent ocean livings in SEA LIFE, where visitors will be captivated by the underwater tunnel walkway. It is no surprise to see countless species (more than 300!) and the most horrified sea-killer – sharks swimming spontaneously in front of you. Visitors should not miss out the feeding time – the expert divers calmly feed the frightening sharks and piranhas in a tiny transparent tank. If you are daring enough, you could go for one of their live experiences with sharks including ‘Snorkel with Sharks’ and ‘Feed the Sharks’ and all you need is to book in advance. Prepare yourself for the most unforgettable moment with one of the terrified ocean livings in the world! 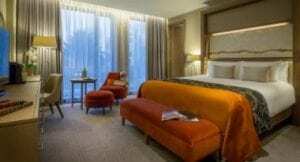 The London Aquarium is easy reached from Clayton Hotel City of London. 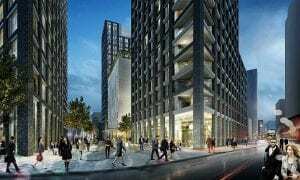 Walk 1 minutes to Aldgate East Station, take the district line towards Wimbledon, get off the train at Westminster St and walk East for 4 minutes. The SEA LIFE London Aquarium is one of biggest collections of worldwide marine life in Europe.